The three U.S. network carriers –Delta Airlines, United Airlines and American Airlines, along with 11 Republican senators, are again displeased with Qatar Airways, accusing Qatar Airlines of breaking a promise not to launch so-called “fifth freedom” flights to the U.S. They object to new service by Air Italy, a carrier 49% owned by Qatar. Air Italy will begin Milan-Los Angeles and Milan-San Francisco service in the spring. A fifth freedom flight is an indirect route in which a carrier provides service between two countries that aren’t its home country, as part of a broader route connecting to its home country. The Air Italy routes to the U.S. are not fifth freedoms because they are flown from Air Italy’s home country. But because Qatar owns nearly half of Air Italy, the routes are a proxy for actual Qatar Airways fifth freedom flights, according to a statement from the Partnership for Open & Fair Skies, a lobbying group that represents the U.S. network airlines. The U.S. airlines have 11 Republican senators on their side. In a December 3 letter to DOT secretary Elaine Chao, Commerce Department secretary Wilbur Ross and secretary of state Mike Pompeo, the senators suggested that the new Air Italy routes are a workaround for Qatar Airways, which Delta, United and American have long accused of accepting state subsidies in violation of the open skies aviation agreement between the U.S. and Qatar. In a statement, Air Italy asserted its independence but steered clear of some of the charges levied by the Big 3 and the senators. Air Italy already flies to Miami and New York, having launched the service this summer, after Qatar invested in the airline in late 2017. In a deal last January that was meant to put an end to a longstanding dispute between Qatar Airways and the Big 3 U.S. carriers, the Qatari government pledged that Qatar Airways would begin issuing annual, externally audited financial reports. The agreement, however, didn’t include any admission that Qatar Airways receives state subsidies. However, Qatar Airways did provide verbal assurance that it had no plans at the time to add indirect flights to the U.S. Despite the objections of the Big 3, fifth freedoms are allowed under the open skies treaty that the U.S. and Qatar entered into in 2001. 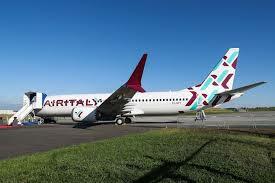 Air Italy plans to launch a Milan-Los Angeles flight on April 3 and Milan-San Francisco on April 10. Each service will operate four times per week.